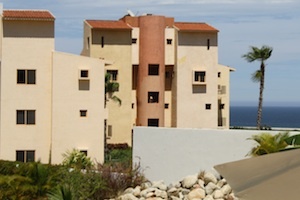 Where you stay in Cabo is no doubt one of the most important things about Cabo Vacation. Whether you are looking for a place to stay with the whole family, a romantic hotel, or that perfect home away from home, Cabo accommodations have something for everyone. Los Cabos is well known for its accommodating hospitally and that really shows in the hotels, resorts and other lodging choices in the area. Below are some suggestions and tips about where to stay in Cabo San Lucas – every accommodation from all inclusive resorts to small boutique hotels. Scroll down for some tips and suggestions on where to stay in Cabo. Summertime in Los Cabos is a great time to find a sweet deal or vacation package at your favorite Cabo hotel or all inclusive resort. Be sure to check your hotel’s website for any specials they might be offering. There’s nothing like a free massage to sweeten the deal. Cabo Villas has over 20 years booking dream-like villas in Los Cabos. Their directory includes over 100 villas and over 40 resorts. Cabo Villas can help you plan anything from airport transportation and golf outings to weddings and corporate events. Cabo San Lucas is well known for its luxury resorts and villas. Resorts such as the One&Only Palmilla, Esperanza and Las Ventanas consistently rank among the best in Latin America and the world. If you are looking for a more private option, try renting a 10 bedroom luxury villa! At Pueblo Bonito Rose Resort & Spa you can enjoy luxurious all-suite accommodations with fully-equipped kitchenettes, and private balconies. Located on Medano Beach, the main swimming beach in Cabo San Lucas, Pueblo Bonito Rose is walking distance from downtown Cabo San Lucas. Bringing the whole family to Cabo? There are hotels that are perfect for a family getaway or a giant family reunion. All inclusive resorts offer flexibility and activities for all and vacation rentals give you the comfort of home. Located on an inlet bay between Cabo San Lucas and San Jose del Cabo, Hilton Los Cabos offers award winning accommodations, many golf packages and access to one of the swimming-allowed beaches in Los Cabos. Pueblo Bonito Los Cabos is a full-service hotel located on Medano Beach overlooking the Sea of Cortez with stunning views of Land’s End. Pueblo Bonito Los Cabos has 147 oceanview suites with fully-equipped kitchenettes and private balconies. Located right on a surfing beach in Los Cabos, Cabo Surf Hotel offers the connivence of being able to surf right from the hotel. 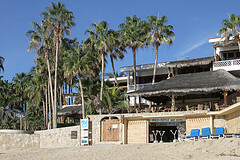 The Cabo Surf Hotel combines simple luxury with the feeling of a boutique beach bungalow. Check out the Sea Spa, Mike Doyle Surf School and amazing 7 Seas Restaurant. One of the first three hotels in Cabo San Lucas, the Hotel Mar de Cortez offers some of the most affordable rates in town. Swimming pool, restaurant and free wifi onsite. Not every place to stay in Los Cabos has to break your wallet. Smaller inns are perfect for the efficient traveler, spring breaker or those who want a more tradition lodging experience. All inclusive resorts also can help you save money as all your food is included. The Cabo Inn Hotel, located in the heart of downtown Cabo San Lucas, offers some of the most affordable accommodations in Cabo. Experience all of Cabo in walking distance! 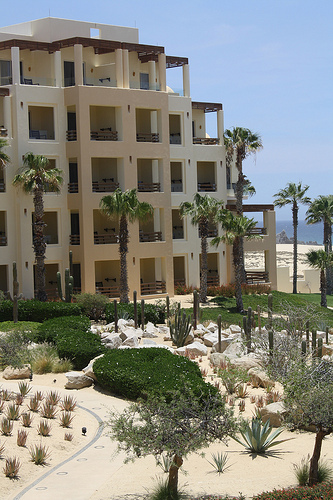 Pueblo Bonito Sunset Beach offers all inclusive vacation packages and a host of family friendly services. With an award-winning spa, gourmet restaurants, six swimming pools, meetings and wedding services, and private beach access, the all-suite Pueblo Bonito Sunset Beach is perfect for your next family getaway. Want a romantic getaway to Cabo? There are plenty of places in Los Cabos that fit the bill. If you are planning the perfect proposal, honeymoon or just getting away from it all, breakfast in bed, champagne delivered upon arrival and plenty of other romantic gestures can be arranged. An adults only retreat on the Pacific side of Cabo, Pueblo Bonito Pacifica All Inclusive Resort & Spa offers a relaxing worry-free getaway. Complete with award-winning spa and restaurants. When you book a minimum of 3 nights with Sun Cabo, you’ll receive an airport transfer, a Margarita, Chips and Salsa Welcome Package, a pre-arrival concierge to help you plan your vacation, a 24/7 Sun Cabo Concierge at your service and much more. Whether you are staying for a few weeks or a couple months, there are plenty of places to stay in Cabo long term. Vacation rentals are popular for extended vacations and timeshares, real estate are great for those who want to keep coming back! Buy real estate in Cabo. From 2 bedroom beachfront condos to 10 bedroom luxury villas, Los Cabos Vacation Rentals has a large inventory of vacation rentals in the Los Cabos area. They specialize in VIP groups and services. If you have any questions about where to stay in Los Cabos, please contact us or ask our Cabo Experts in our Cabo Forum. We hope you enjoy your trip to Los Cabos.